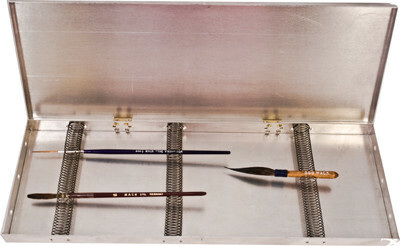 The all aluminum brush box will protect your brushes while drying, storing, and transporting. The brushes are held in place with three steel spring coils. Weiterführende Links zu "BRUSH BOX 5“x14“"
Kundenbewertungen für "BRUSH BOX 5“x14“"